Culture Media for Mesenchymal Stem Cells etc. A new Business Division named as "GLI" was established to strengthen our glycan profiling analysis service. A new glycan profiling analysis software, GlycoStation ToolsPro Ver3.0 has been released. The function of Ver1.5 (global Background) and Ver2.0 (local Background) are unfied in Ver3.0, and Ver3.0 is able to handle newly released two different type of LecChip formats in addition to the existing format of LecChip Ver1.0. A review paper: Glycosylation pattern of biotechnologically produced proteins, Lectin array technology as a versatile tool for screening. Prof. Yamagata et al., Yamaguchi Univ. School of Medicine have just publised the first paper about glycan markers in major depressive disorder. A new leaflet for the Contract Analysis Service was uploaded in accordance with setting up of the new Glycan Analysis Service Center in Wistar Institute. A new Glycan Analysis Service Center was established in Wistar Institute for customers in North America. GlycoStation Reader 2200 and GlycoLite 2200 would be main profilers from now on in our Glycan Profiling System named GlycoStation. And, SODATT and ESTEM series are added in our products for iPS Culture Media. Dr. Hino, Hokkaido Univ. et al. examined interaction strength between galectins and glycopeptides with using GlycoStation. It was shown that GlycoStation is effective for not only Lectin Microarrays but also Glycan Microarrays in terms of measuring week biomolacular interactions. We have a booth in a JETRO pavilion, BIO International Convention 2016, and are exhibiting a new GlycoLite2200 etc. FDA has just published a second paper entitled "The use of lectin microarray for assessing glycosylation of therapeutic proteins", and concluded that lectin microarray could be used for screening glycan patterns of therapeutic glycoproteins. FDA has published a paper entitled "Glycan Analysis of Therapeutic Proteins". 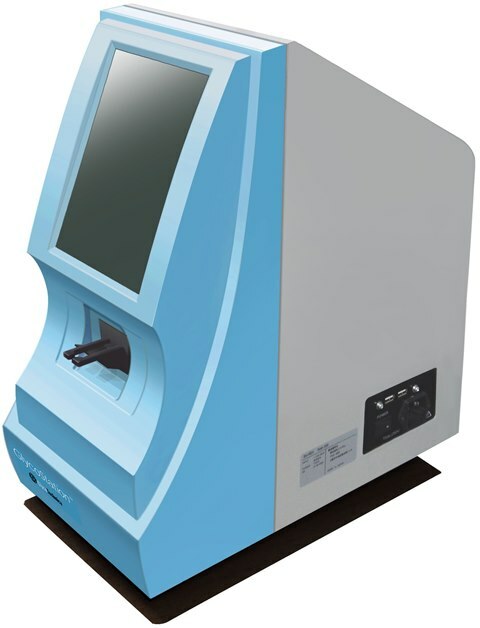 Our products, GlycoStation Reader using an evanescent-field fluorescence technology and Lectin Microarrays, are mentioned here. In the coming Bio-Europe2015, we will release a Cutting-edge Culture Media for iPS cells. A new paper about Lectin Microarray-based Sero-Biomarker Verification Targeting Aberrant O-linked Glycosylation on MUC1 was published from a group of AIST. A calture Media"SODATT201" for iPS Cells was reprised from 22,500 JPY to 18,780 JPY on April 28th. Glycosylation type in pancreatic cancer using lectin microarrays was publised from a group of Prof. Miyoshi, Osaka Univ. A new paper about the effectiveness of lectin microarrays to identify phenotypes of advanced gastric cancer was published from a group of AIST. The main function of Headquaters will be transferred from Sapporo to Yokohama. FDA will present their studies on Biotherapeutic proteins using LecChips. Dr. Nakajima et al., Oita University, have reported a new marker candidate for colorectal cancer with using lectin microarrays. Development of lectin microarray, an advanced system for glycan profiling. SODATT201 gets accepted as a recommended culture media for iPS Cells in SKIP, Keio University. Prof. Kato et al., Tohoku Univ. have developed a Cancer-specific monocholonal antibody recognizing Glycosylated Podoplanin (with polylactosamine and sialylated core1) which is expressed only on cancer cells. A new culture media for iPS cells "SODATT201" will be released shortly. We would like to express our sincerely gratitude for your continued business and support. GlycoLite™ 2100: A new version of GlycoStation Reader series will be released shortly with a moderate price. This is a review paper written by Dr. Yu-Chieh Wang, Dr. Jeanne Loring et al., Scripps, about relationship between post-translational modification of proteins and puluripotency. They suggested the importance of protein glycosylation marks for the quality control of hPSCs and their differentiated derivatives, and also introduced an example to remove potentially tumorigenic cells from hPSC polulations by using cell surface markers and lectins and thereby purify differentiated cells. "Protein post-translational modifications and regulation of pluripotency in human stem cells" is a title of this paper. Dr. Y. Kobayashi et al., Keio Univ., School of Medicine published the first report of a lectin array analysis in choriocarcinoma. "Glycan profiling of gestational choriocarcinoma using a lectin microarray" is a title of this paper. FDA has installed GlycoStation as a glycan profiling system. Dr. Inoue and Dr. Wada et al., discovered a novel glycan marker for predicting progression of diabetic nephropathy. GlycoStation was used in this study to discover the glycan marker. "Urinary Fetuin-A Is a Novel Marker for Diabetic Nephropathy in Type 2 Diabetes Identified by Lectin Microarray" is a title of this paper. 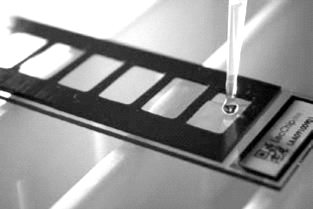 New papers regarding Cholangiocarcinoma and Hepatocellular Carcinoma using Lectin Microarrays have been published from a research group of AIST, A Paper about Cholangiocarcinoma and A Paper about Hepatocellular Carcinoma. A new Paper entitled "A lectin array analysis for wild-type and α-Gal-knockout pig islets versus healthy human islets" was publised. The authors are Prof. S. Miyagawa et al., and our GlycoStation was used as a glycan profiling system in this study. A new paper entitled "Lectin Microarray Profiling and Relative Quantification of Glycome Associated With Proteins of Neonatal wt and rd1 Mice Retinae" was published. The author is Prof. S. Ahuja, and our GlycoStation was used as a glycan profiling system in this study. A paper entitled "Glycan Profiling of Adult T-Cell Leukemia (ATL) Cells with the High Resolution Lectin Microarrays" was publided in Feb. 20th, 2013. The authors are Dr. H. Iha, Oita University, et al. A new paper entitled "A lectin-based glycomic approach to identify characteristic features of Xenopus embryogenesis" has just published. It is shown that lectin microarray is a good tool to characterize differentiation stages allowing glycan profiling of early embryos and such small biopsy specimens with high throughput. The authors are Dr. M. Asahima, AIST, et al. A new review paper about Lectin Microarray has just published on Chemical Society Review. The title is "Lectin microarrays: concept, principle and applications", and the authors are Dr. Hirabayashi, Dr. Kuno, Dr. Tateno et al. from AIST. GlycoTechnica Ltd. is dedicated to innovating, developing and supplying forward thinking solutions in the field glycomics. GlycoTechnica provides an innovative glycan profiling analysis system, GlycoStation™ and services using lectin microarrays and washing-free evanescent-field fluorescense excitation scanners through accumulated past business experience with ex GP Biosciences, by recruiting the scientists involved in the activities of glycobiology of GP Biosciences. We are pleased to announce that GlycoTechnica is now able to service you Glycan Analysis with using Mass Spectrometry in addition to Lectin Microarrays. We strongly advance the establishment of a comprehensive glycan analysis service covering from glycan profiling using Lectin Microarrays to Glycan Structure Identification using mass spectrometry. This enabling glycan analysis technology will play a significant role in accelerating the pace of research and development in the burgeoning field of glycomics. Through continued development, our glycan profiling analysis technology will expand out of the lab and into clinical healthcare providing early diagnosis and therapies for various diseases. The following two papers written by Dr. H. Narimatsu and Dr. J. Hirabayashi, respectively, would be easily comprehensive research papers concerning technological background and applications of GlycoStation using Lectin Microarrays. Development of basic tools for glycoscience and their application to cancer diagnosis and Development of lectin microarray, an advanced system for glycan profiling. Our Glycan Profiling System has been installed in FDA, and two papers using our products have been already publised from them. The first report "Glycan analysis of therapeutic glycoproteins", and the second report "The use of lectin microarray for assesing glycosylation of therapeutic proteins". We will introduce our new products in 17th Annual World Preclinical Congress. We will exhibit a new GlycoLite2200 etc. in Bio International Convention 2016. We will exhibit a new product in Bio-Europe2015. We will exhibit a new product in BioJapan 2015. We will have a booth in Biotherapeutics Analytical Summit. FDA will present about their studies on Therapeutic Proteins using our products. We will have a booth in Bio Japan 2014, World Business Forums. We will have a booth in JAPAN Pavilion at Bio-Europe2013. HUPO2013 Luncheon Seminar 10 will be held on September 17th at PM1:00 for a hour. This seminar covers a comprehensive strategy starting from new glyco-biomarker discovary using lectin microarrays and leading up to an autopmated inspection system. Please join us and have a fun. In the coming 2013 HUPO, a Luncheon Seminar about Lectin Microarray and GlycoBiomarker Discovery will be planned collaborating with AIST and Sysmex (the detail will be announced shortly).